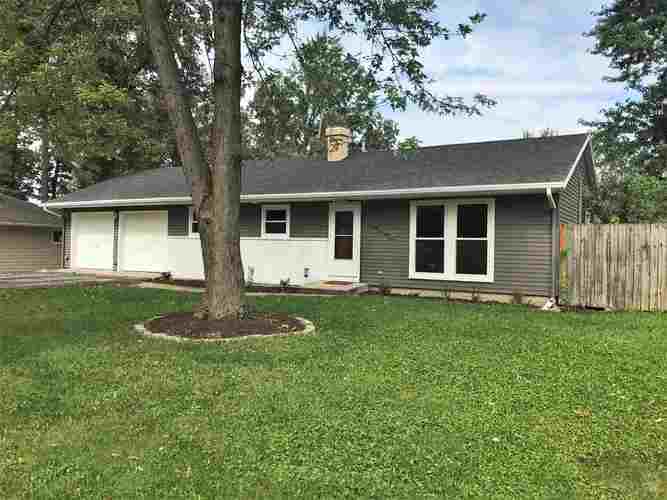 Remodeled Ranch home in a Fantastic Location near Coliseum Blvd. & Very Close to Purdue and Ivy Tech Campuses! Fresh Paint Inside and Outside! New Shingles! New Flooring & Base Trim throughout! New Kitchen Cabinets with Stainless Steel Appliances, and Charming Subway Tile Backsplash. All New Light Fixtures, 6-Panel Doors & Hardware and Newer Vinyl Windows! Large 2-car attached garage. Private Fenced Yard. Come take a look at this wonderful home today. Listing provided courtesy of Sterling Associates.